ESET®, a global pioneer in proactive protection for more than two decades, today released the ESET Japan Cyber-Savviness Report 2016 showing that while users in Japan are knowledgeable about cybersecurity and take few risks online, they still have some way to go in ensuring that they are adequately protected when they access the Internet. Interestingly, the findings show that while more than 70 percent of the respondents did not receive any formal education about cybersecurity, at least 4 out of 5 respondents were able to correctly answer basic cybersecurity questions. This level of knowledge, the highest of any Asia-Pacific market, was consistent between the different age groups surveyed. The survey polled 1,033 respondents in Japan to gain insights into attitudes, knowledge and user behavior there when it comes to cybersecurity. Compared with the results of the ESET Asia Cyber-Savviness Report 2015 and the ESET Vietnam Cyber-Savviness Report 2015 (covering seven other Asia-Pacific markets), Japan had the highest cyber-savviness score ahead of Malaysia, Singapore, India, Thailand, Hong Kong, Indonesia and Vietnam, in that order. Cyber-savviness is based on factors such as users’ knowledge or ability to understand activities that are likely to make them vulnerable online, risky behaviors while surfing the web, and the proactive steps they can take to protect themselves online. However, the Japan survey results point to a significant gap between user awareness and implementation of security measures. For example, while as many as 96 percent of respondents were aware of the security threat posed by using the same password for different accounts, only 1 in 5 people actually set separate passwords for their individual online accounts. “In Asia-Pacific, Japan has always taken the lead in technology adoption and innovation. The country relies on data, online communications and information technology to drive innovation and efficiency, resulting in increased exposure to cybersecurity risks,”said Parvinder Walia, Sales and Marketing Director, ESET Asia-Pacific. Survey results also showed that overall, users in Japan do not engage in risky cyber behavior. Most respondents (86%) know to immediately disconnect a breached device from the Internet and 71 percent do not open or download attachments from unknown senders. However, more than half of the people surveyed said they are worried about potential cybersecurity threats. Anxiety about cybersecurity increases with age, and corresponds with the perception that online scams and hackings of social media accounts are “very common”, despite the fact that only eight percent of respondents have ever experienced a cyber-attack. To download the ESET Japan Cyber-Savviness Report 2016, please visit: click here. To download the ESET Vietnam Cyber-Savviness Report 2015, please click here. To download the ESET Asia Cyber-Savviness Report 2015, please click here. ESET®, a pioneer in proactive protection and the creator of the award-winning ESET NOD32® technology, is a global provider of security solutions for businesses and consumers. For over 26 years, the company has continued to lead the industry in proactive threat detection. ESET NOD32 technology won its 80th VB100 award in June 2013, reinforcing its position as holder of a record number of Virus Bulletin "VB100” Awards; it has never missed a single “In-the-Wild” worm or virus since the inception of testing in 1998. In addition, ESET NOD32 technology holds the longest consecutive string of the VB100 awards of any AV vendor. ESET has also received a number of accolades from AV-Comparatives, AV-TEST and other testing organizations and reviews. 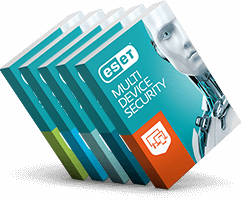 ESET NOD32® Antivirus, ESET Smart Security®, ESET Cyber Security® (solution for Mac), ESET® Mobile Security and ESET’s IT security solutions for business are trusted by millions of global users and are among the most recommended security solutions in the world. ESET recently updated its two-factor authentication (2FA) application, adding a secure validation to weak and static user passwords. This updated version of ESET’s 2FA application provides flexibility and deeper integration of 2FA into bespoke applications, making it the best, most cost-effective solution for SMBs everywhere. The company has its global headquarters in Bratislava (Slovakia), with regional distribution centers in San Diego (US), Buenos Aires (Argentina), and Singapore; and offices in Jena (Germany), Prague (Czech Republic) and Sao Paulo (Brazil). ESET has malware research centers in Bratislava, San Diego, Buenos Aires, Singapore, Prague, Košice (Slovakia), Krakow (Poland), Montreal (Canada), Moscow (Russia) and an extensive partner network covering more than 180 countries. More information is available from the ESET Press Center.